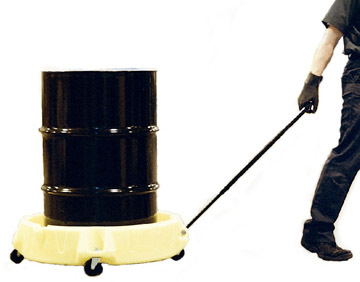 Easily transport and contain drums, pails, paint cans and other material around your plant. 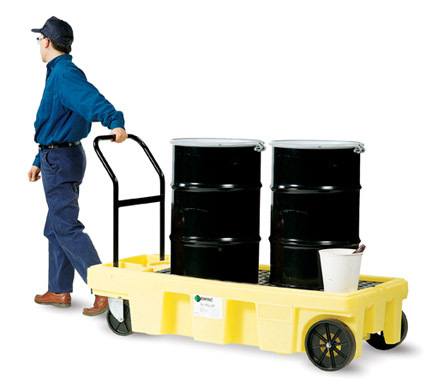 Easy to transport drums, pails or cans around your plant. 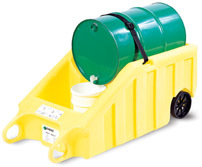 Eliminate the risk of spills during transport. Grate removes for easy cleaning. Built-in tool tray keeps tools and other small objects clean and handy. Easily rolls through 36" doorways. Rear wheels move around freely, brake for secure position.